Beef neck has the tendons you’ll also find in oxtail, as both the neck and the tail move alot throughout the animal’s lifespan. So by definition these two are rather similar and therefore in many recipes can actually be switched. 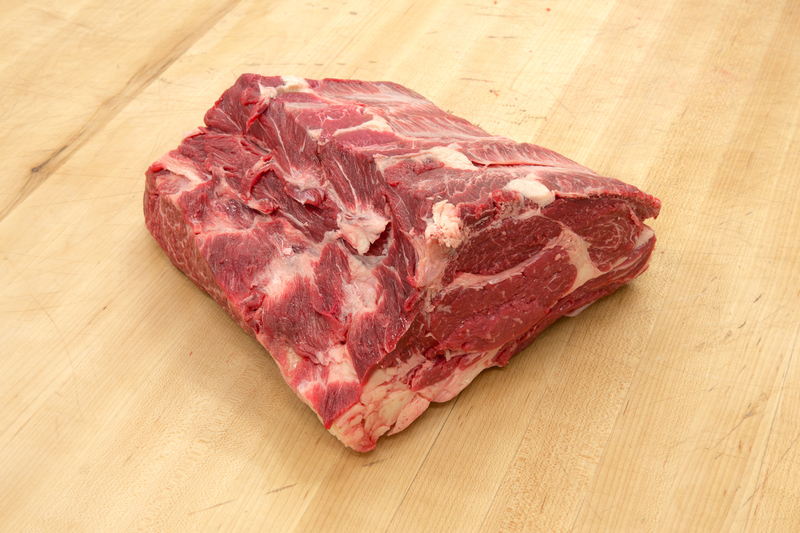 Beef neck makes marvelous stews, the best burgers and is great for recipes that require pulled beef. Cutting chuck differs around the world, however the way we cut it we are left with a Chuck under blade, Chuck eye roll and the end of neck. 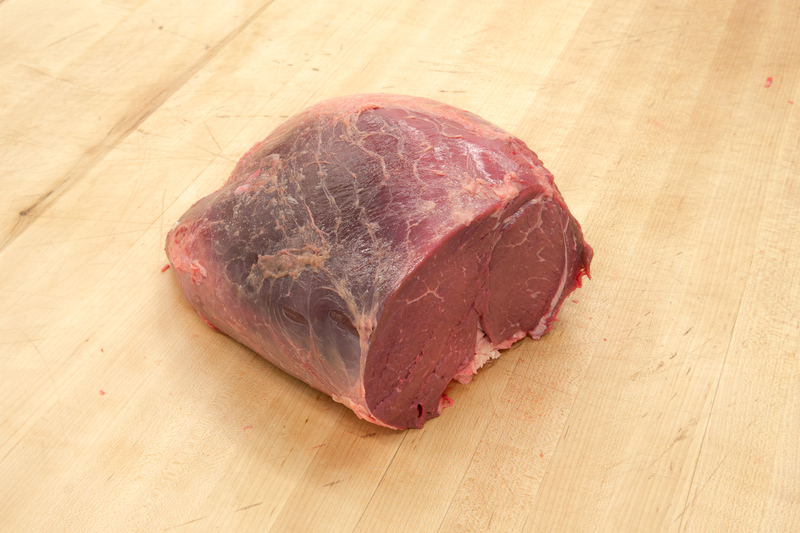 The chuck under blade or chuck bottom has a stronger texture and is therfore fit for faster stews and roasts. Chuck eyeroll on the other hand is a tender cut, sometimes called the mock ribeye, as it is a continuation of the muscles. It is juicy and has an exceptional flavour. Boneless ribeye is still one of the most loved pieces of meat around the world. Why? Because it is so simple, it is tender but due to fat and tendon combination has a sensational taste. 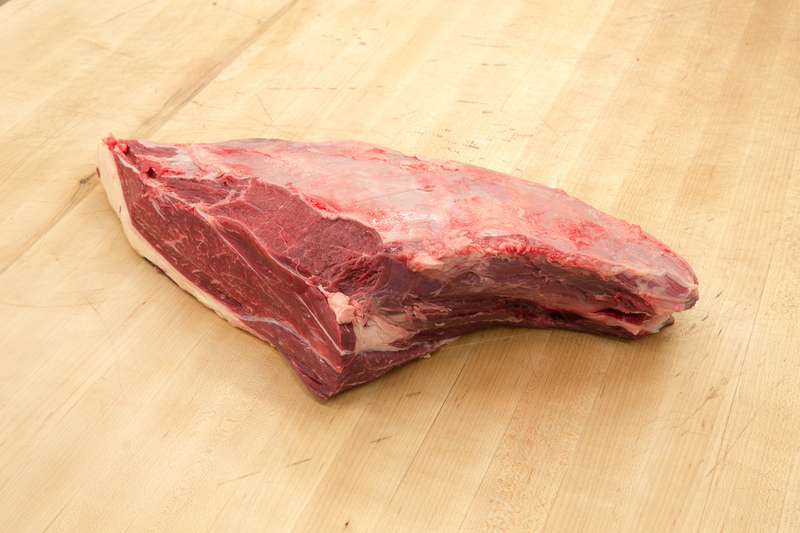 Therefore boneless ribeye is a perfect fit for classic panfried or grilled steaks. Top sirloin also known as New York Strip is cut from the muscle Longissimus dorsi, which is towards the rear-end of the steer. It has a tight texture, yet is still moderately tender. 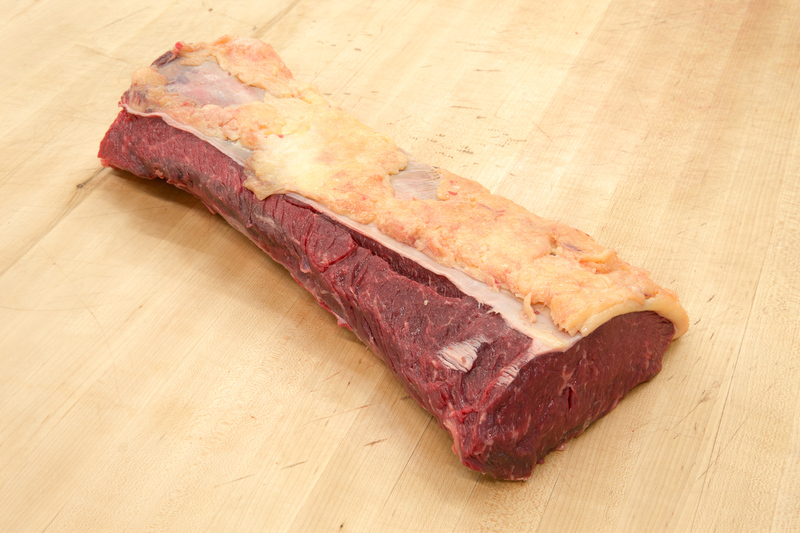 Top sirloin has a beefy flavor, which is not as robust as ribeye, how ever is much easier to trim. It is best pan-fried or grilled. In their menues, many restorants still call the simple tail an oxtail, where in reality the tail of beef comes from both gender with no difference. The consumtion of it dates back as far as the consumption of beed, where no part of the animal went to waste. Oxtail makes the most flavourful beef stock, where for the most part, the robust beef flavor comes from the bones and marrow. However the meat is also very tasty and the rendered stock will be thick and gelatinous due to collagen released. 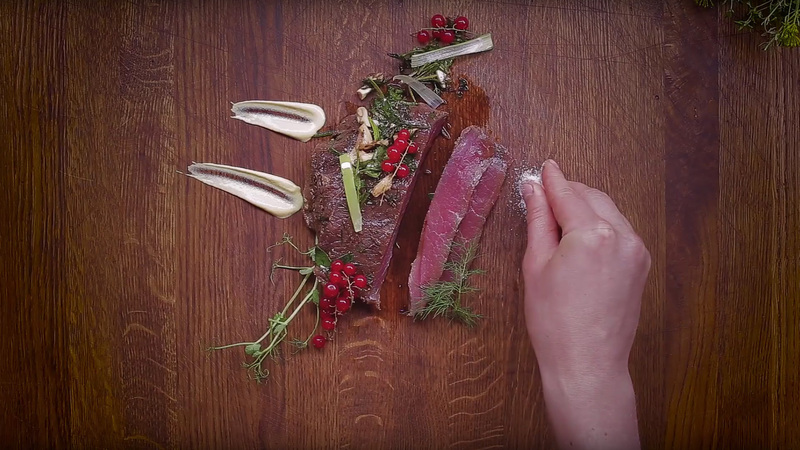 The most intersting part of this very tender steak, is its charismatic name. The steak got its name as from the shape, it remindes most of an old flat iron. 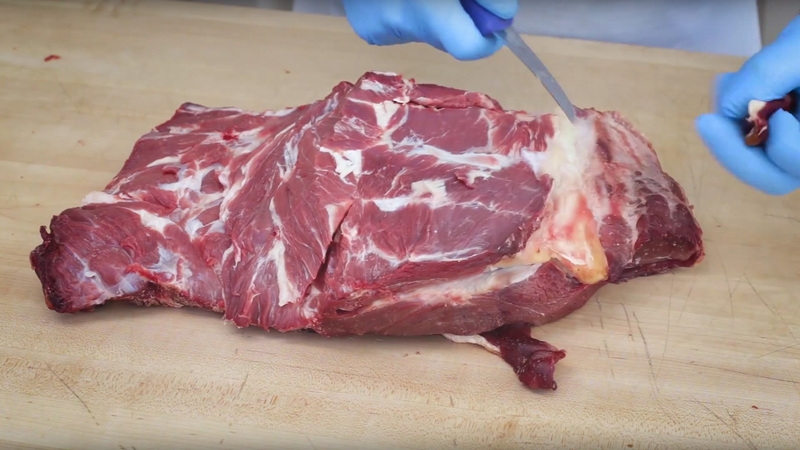 It's one of th most tender muscles in the beef carcass and has a rich, succulent flavor. The perfect way to cook Flat Iron is on a grill, as a whole muscle. 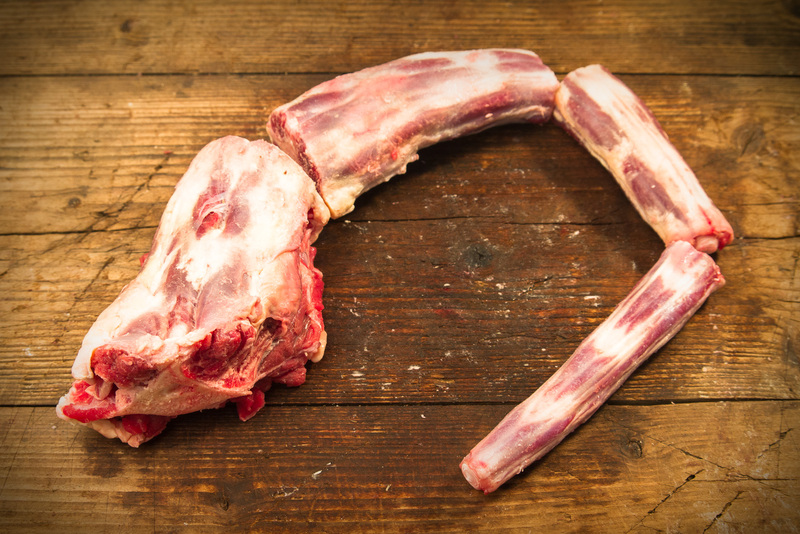 Sugar bone, or the bone with bone marrow, is great for making a robust tasting stock. However if cut crosswise, it is an ideal source for bone marrow. 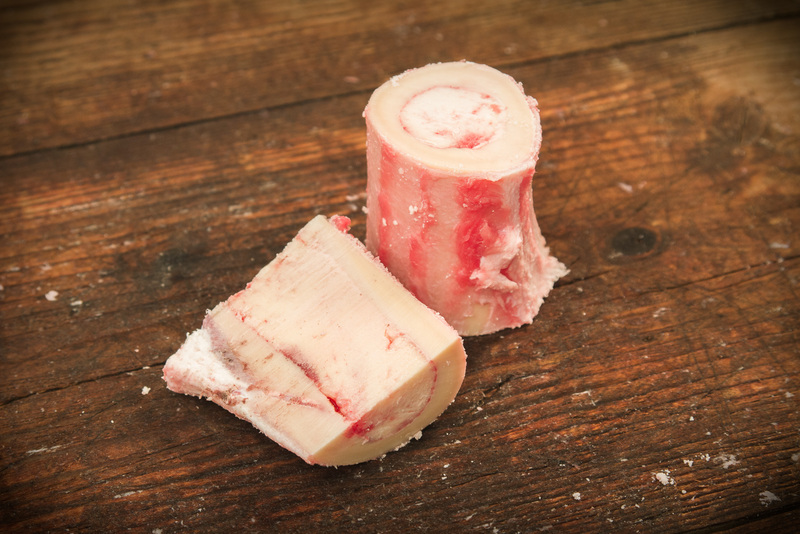 For roasted bone marrow, you can either tame it or go along with it, and nothing in between. It is such a stand-out ingredient that you can simply throw it on a plate and contrast it with some citrus and salt. Is still a rarely known steak, which is unusual as it is the most tender muscle after the tenderloin or filet mignon itself. 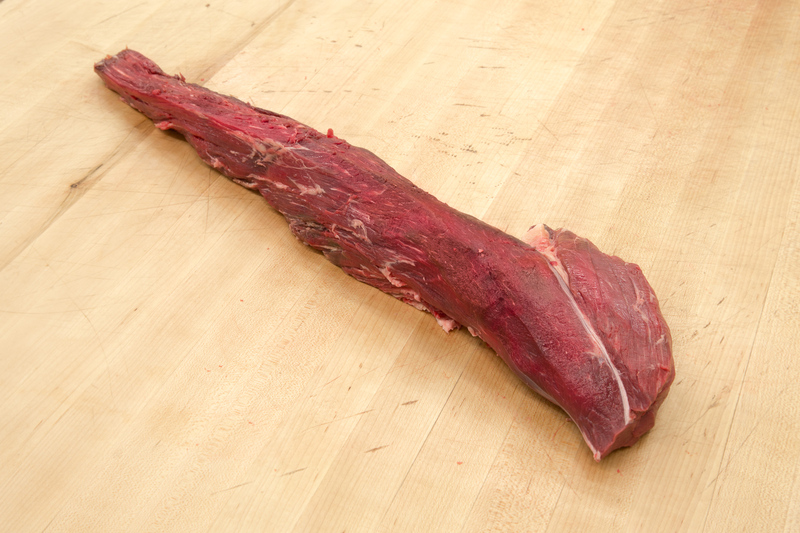 Teres Major, which is the real anatomical name of the muscle comes from the Chuck part of the steer, up in the shoulder blade, sitting across from flat iron. Cook it on a very hot grill or pan for the best results. Beef shoulder is cut from the first primal of the animal, containing loved muscles such as petite tender and flat iron steak. 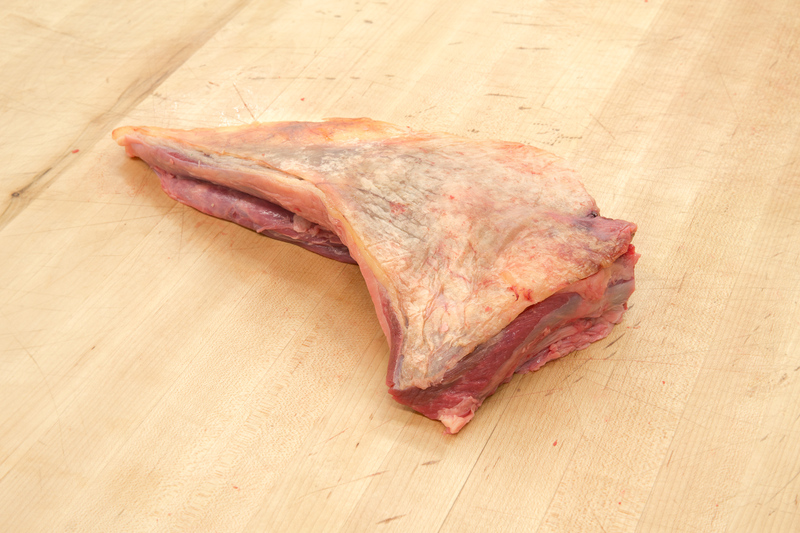 Shoulder itself has a tougher texture and is therefore good cut into strips and fried for quick salads or stirs. Shoulder is also used for fast stews like Stroganoff. Beef ribs also known as short ribs and thin ribs, are more indulgent than pork ribs, but still relatively inexpensive. Beef short ribs contain more meat than pork ribs and can be cooked to very tender. If you have time, they are best grilled, barbecued or roasted. 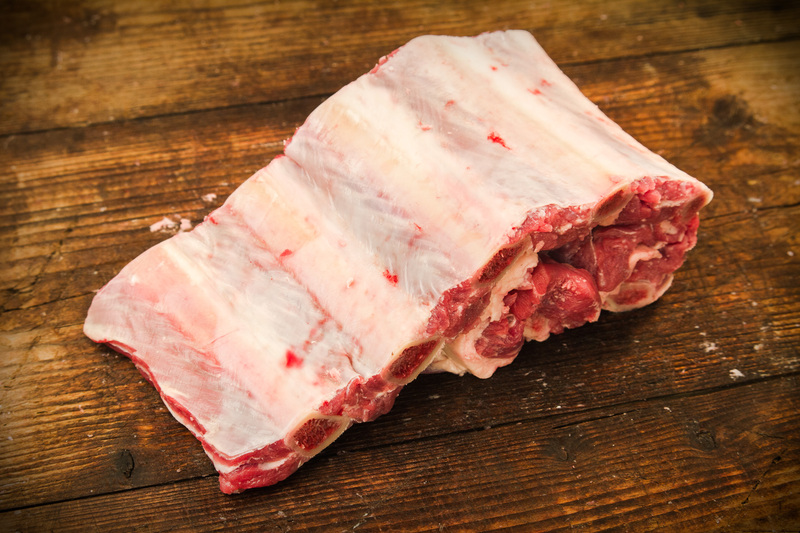 Individual ribs can also be added to stock and stews. The tenderloin needs little if no introduction. With the tenderloin it is extremly important to remember that it is an extra-lean meat that dries out and over cooks very easily. 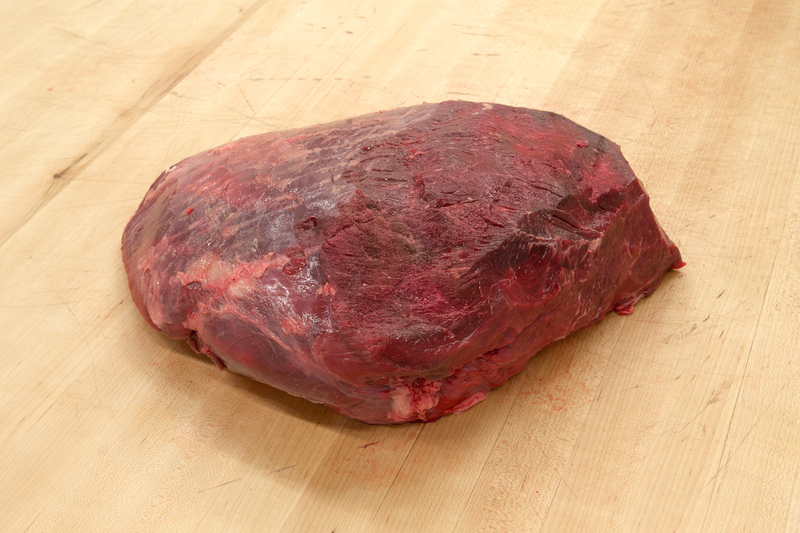 It is good for Boeuf á la tartare or carpaccio, but can also be whole-slow-roasted in a reverse-sear method. 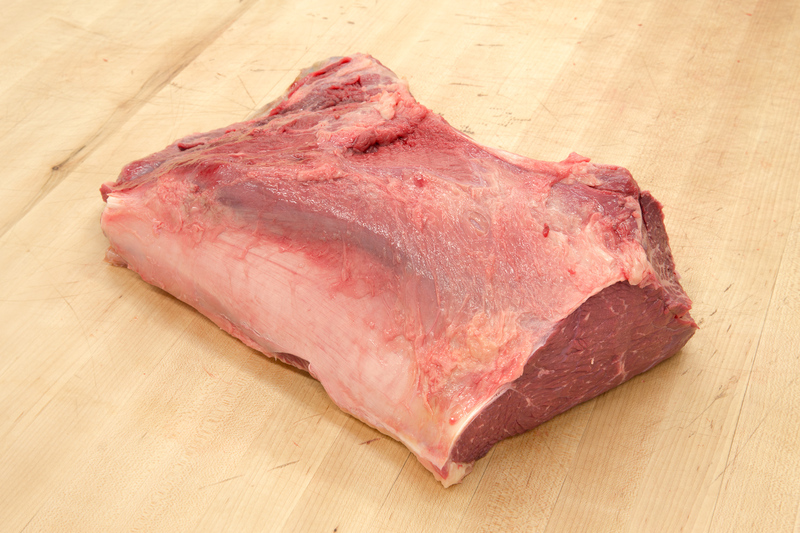 Top round or topside is a large cut, rolled and divided into two or three boneless joints. Making it again perfect for different roasts. 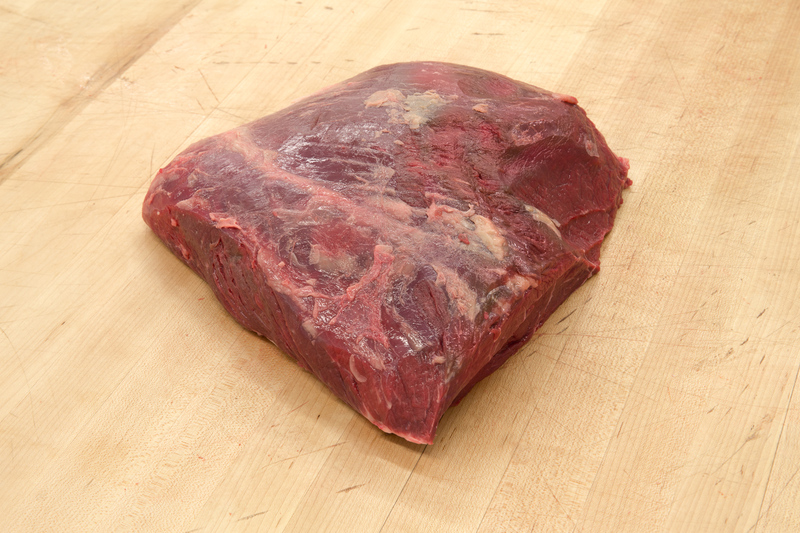 Compared to other parts of the round it is moderately tender and is therefore also fit to cut into lean steaks. 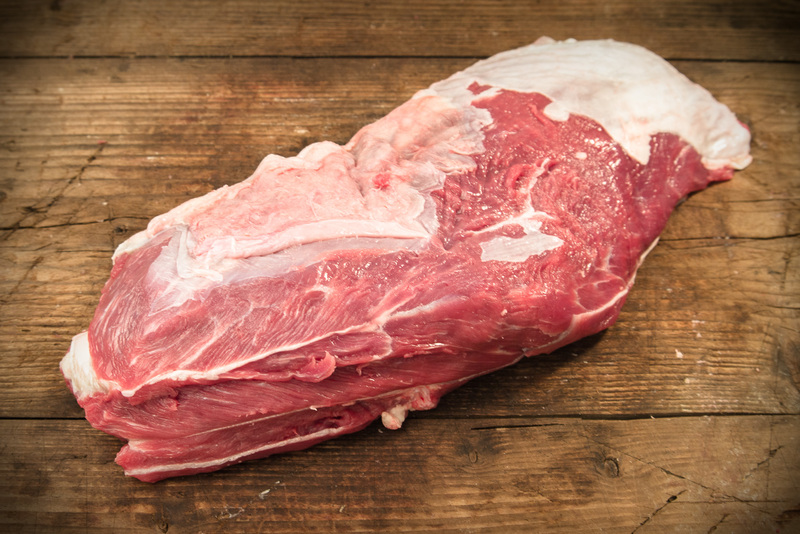 Bottom round also known in the UK, Ireland and Australia as Silverside is a cut just above the leg cut and it gets its name from the “silverwall” or a skin like connective tissue, on the side of the cut, which has to be removed before eating. Bottom round is also very lean and is great for different pot roasts. Eye of round is a extremely lean cut taken from the hindquarters of the cow, which also gets a fair amount of exercise. 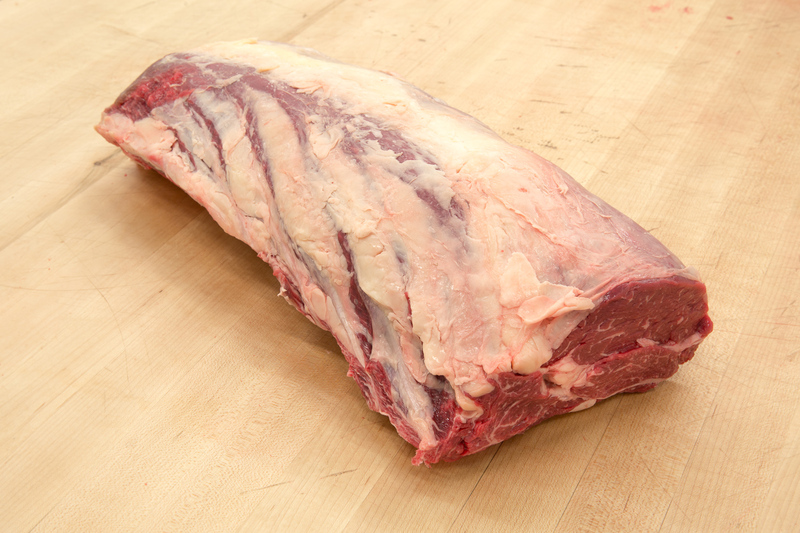 Leaving it medium rare and sliced thin against the grain, it is the best shaped and texture muscle for a roast. Matambre is a thin yet chewy, yet very flavourful beef cut. It is basically belly meat that runs from the chest to the flank. It is an unique cut and the cooking methods vary regionally, however the most popular way is to cook it as a roll filled with different herbs and vegetables. 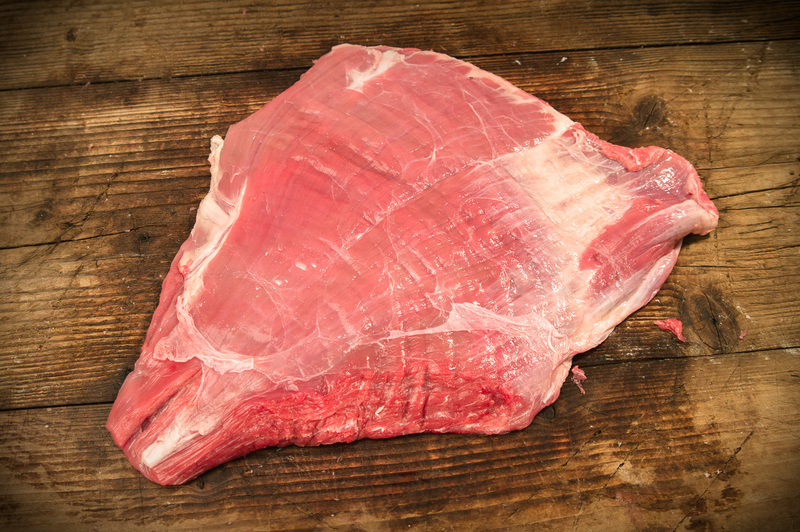 Tri-tip is as the name points out, a triangular, large muscle cut from the bottom sirloin. 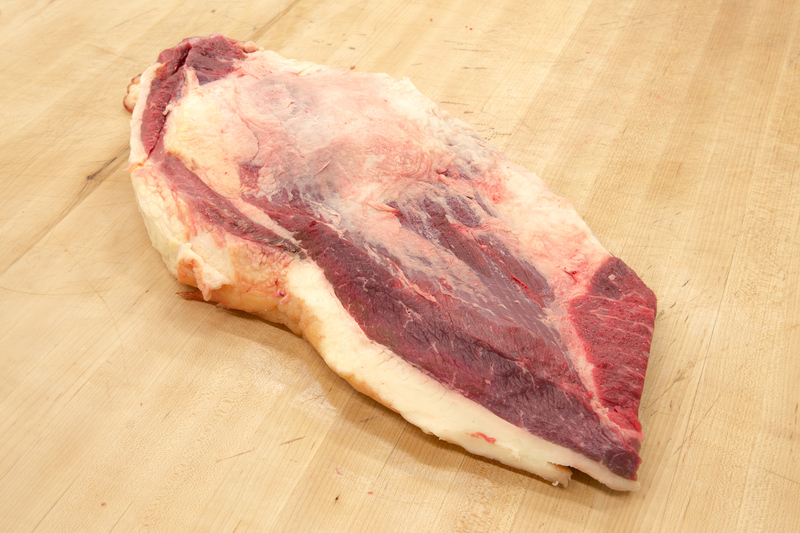 Tri-tip is a rather lean cut and texturally resemles flat cut brisket, though it doesn’t have nearly as much outside fat. Flavourwise it resembles the eye of round, it does not have too strong beef flavour, so it is best to season it more. It is best cooked just until medium-rare, over an open bit. 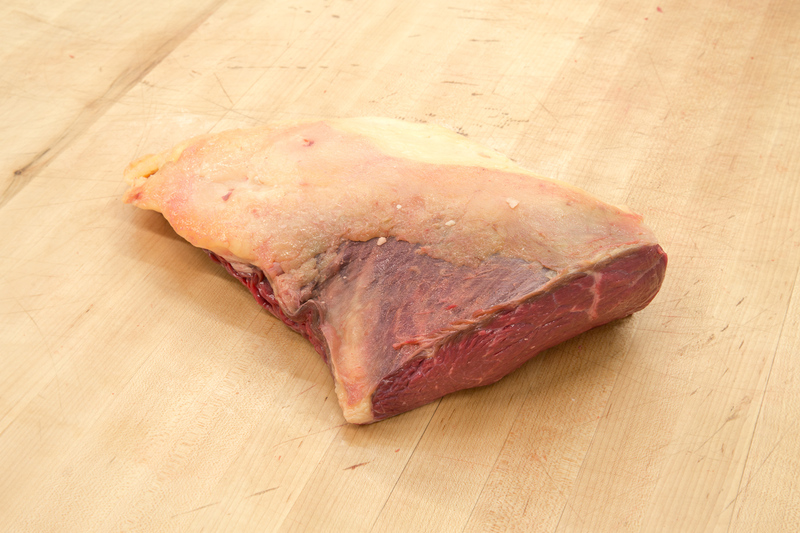 Knuckle is cut from a primal called round or basically hip of the beef. The knuckle contains three distinct and very lean muscles - tip center, tip side and tip bottom. The knuckle can be used whole as a large roast, or can be broken down further into its component muscles, which can be allocated to different purposes like stew meat or kebabs. 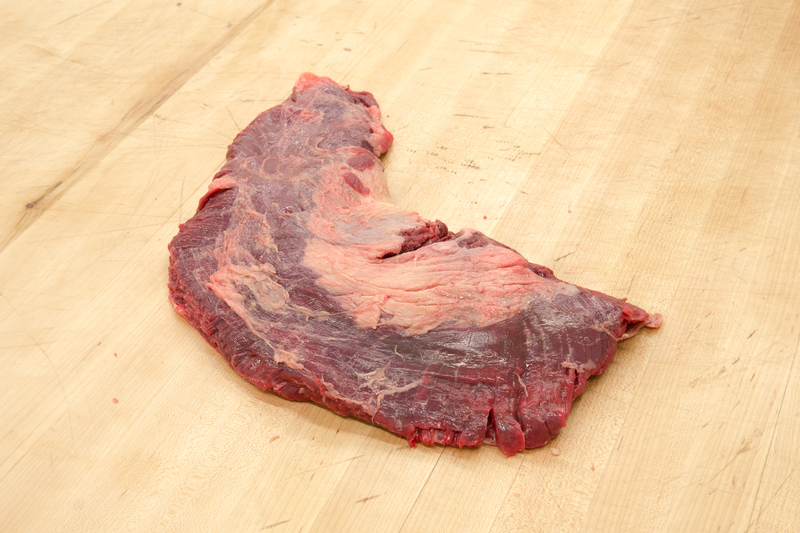 Like anyother rare muscle flank steak has lots of names around the world, but flap meat, flank steak and faux hanger are the most common. 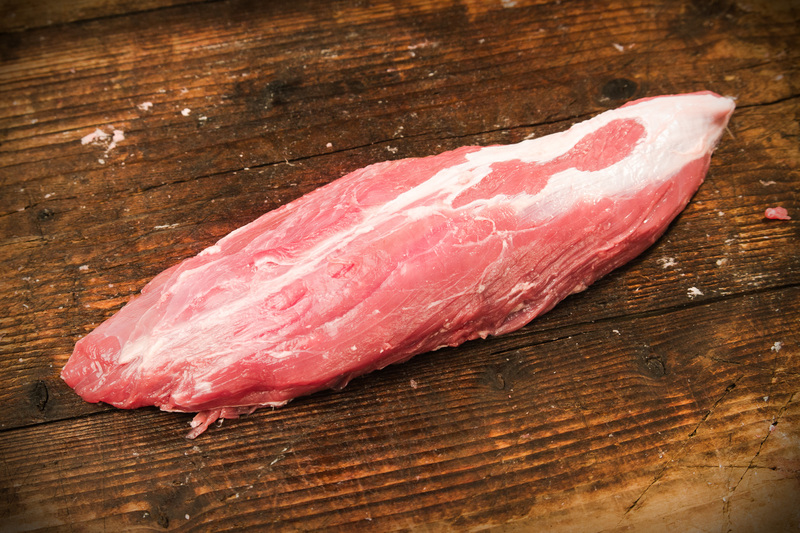 Flap meat has a strong beef flavour, but also due to its coarse texture takes on marinades very well. 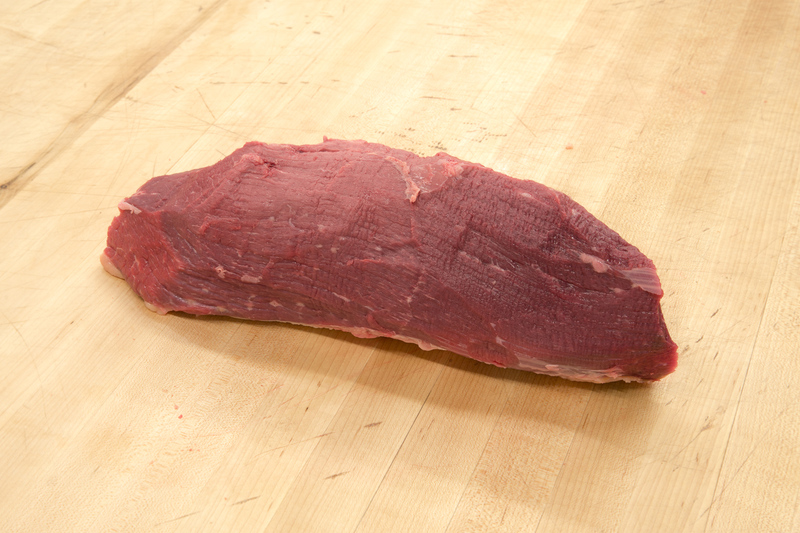 Flank steak takes great to fast-cooking methods like grilling or searing. It is excellent cooked whole over an open fire or on a pan, and then sliced thin. The texture of a beef testicle is almost identical to that of a succulent scallop and it is needless to say more. When cooking, there are basically to options to consider. If you are primarily concerned with the flavor, then grill the testes, if seeking for more textural contrast, batter and fry them. 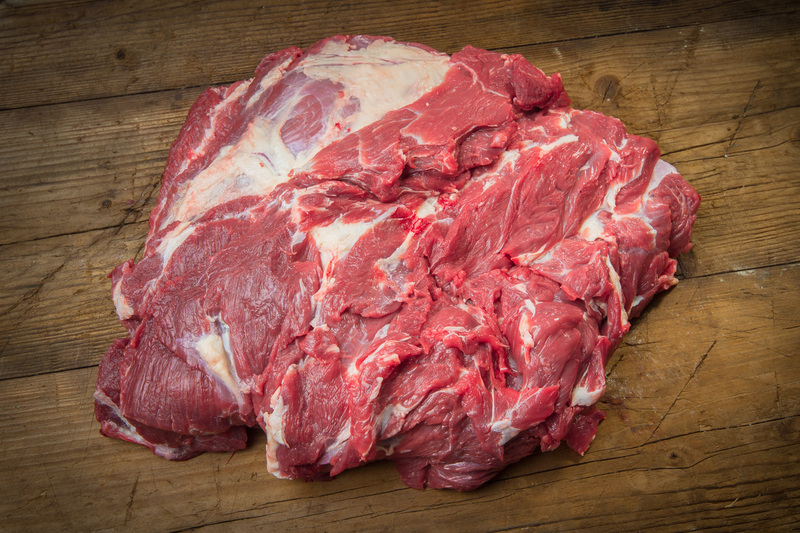 Brisket comes from the front breastbone of the animal, so the muscle supports much of the weight of the cattle, meaning there is a fair amount of connective tissue. 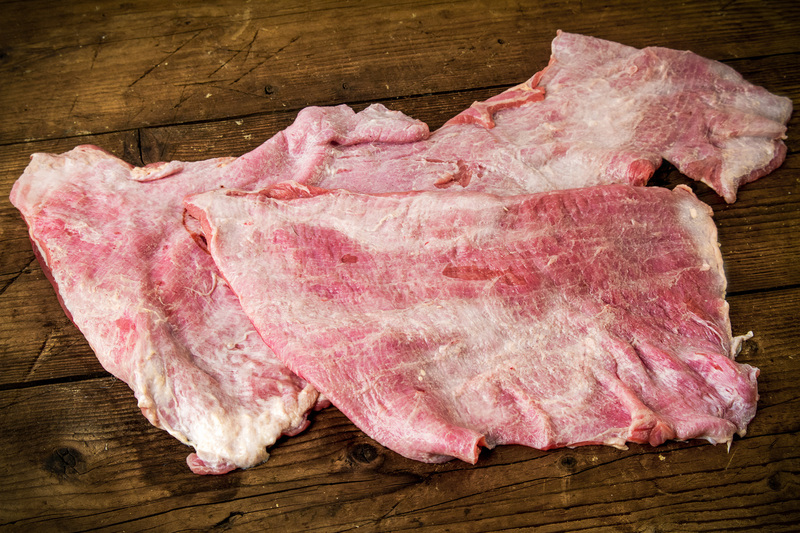 On some cuts of the brisket fat forms a thick layer, which helps to protect the meat from drying out, making this cut ideal for long, slow cooking either in barbecue or in pot. 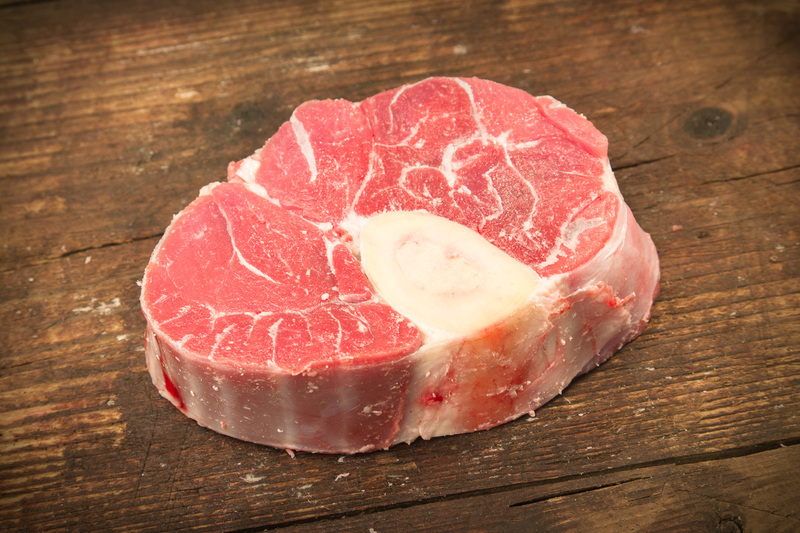 Osso buco better known as beef shank, is nothing more than its name states - beef shank. Mindless of its simple name it is one of the best cuts for stews. As the bone marrow in the shank melts, it gives the dish a luxurious strong gravy with tender meat on the bone. Even though we think of churrasco and picanha as inseperable from the Brazilian culture, it is actually a newcomer. Oddly enough, it was introduced by Hungarian butchers in the 60s to serve the immigrant workers at the Volkswagon plant. Picanha also known as the rump cap, is a triangula, rather tender muscle with a layers of fat, which gives the meat juiciness and protects it from human error that may occur during grilling. 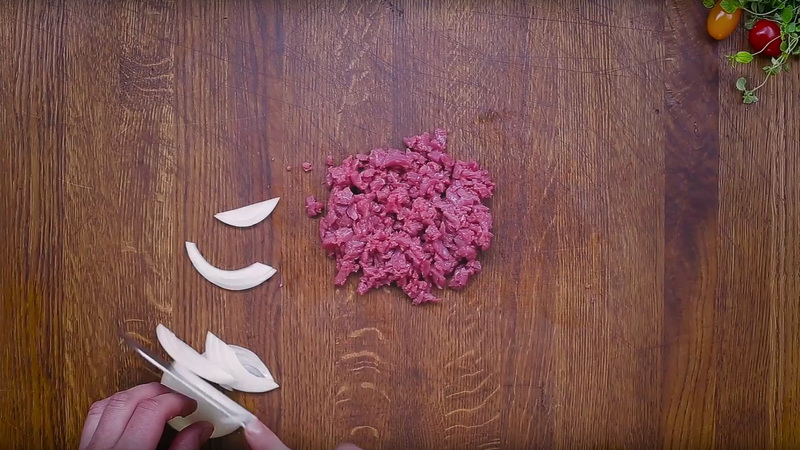 How to prepare tartar from top sirloin? How to prepare marinated corned beef from knuckle tip? How to cut steak from chuck?